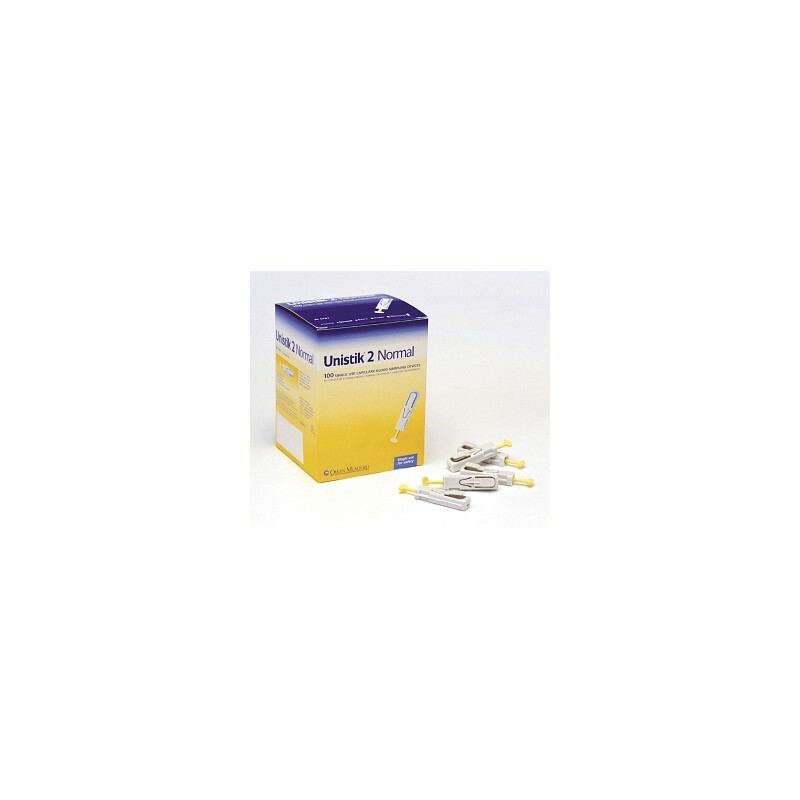 Single Use Lancets avalible in 2 types, Extra in packs size 100 & 200 (Extra £20 for pack 200) and Normal in pack size 100. 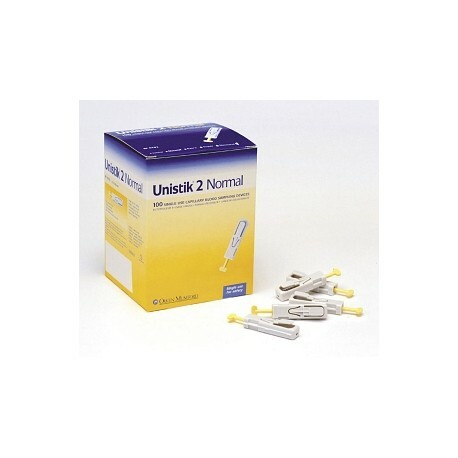 21 gauge safety lancet with increased penetration depth for increased blood sample. Suitable for both 15ul and 40ul tests. 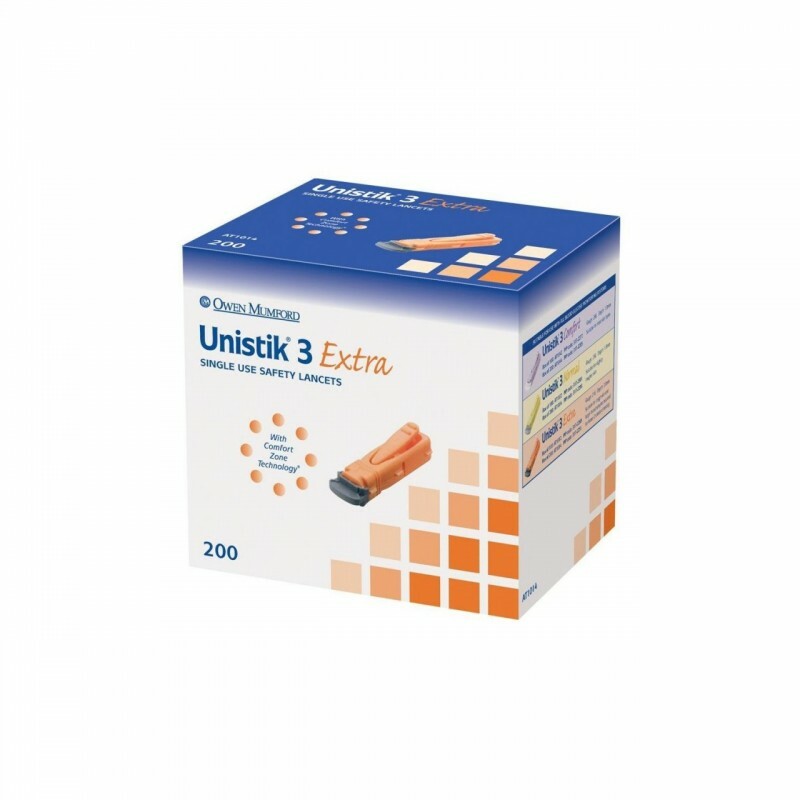 Side firing action to provide extra comfort for both patient and professional (2)Unistik 3 features unique Comfort Zone Technology (3) that allows ultimate control and comfort when lancing. Comfort Zone Technology** increases comfort when lancing by targeting the sensation and perception.